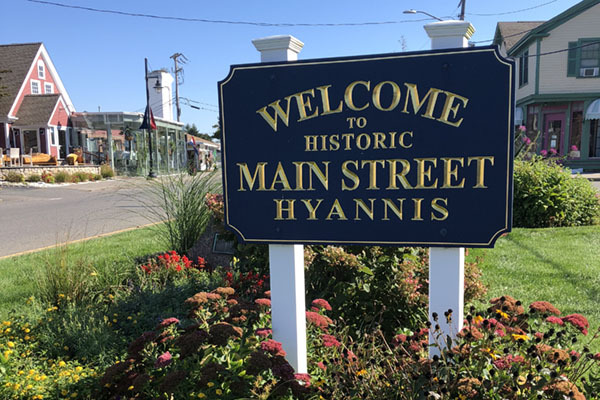 Once again, we’re looking to the pages of the 2018 CapeMade Field Guide for day trip inspiration, this time we’re inviting you to spend the day in downtown Hyannis with us! Rise and shine with yoga at Just Be Yoga, before fueling up on a cold-pressed juice or smoothie bowl from The Local Juice or a coffee and crepe from Rendezvous Café. 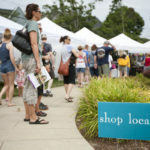 Shop ‘til you drop for local artisan gifts at LoveLocal Collective, Red Fish Blue Fish, SoHo Arts and Allium, peruse the latest clothing trends at Puritan, Mass Bay Co., Shift and Boarding House or get lost in vintage at Plush and Plunder. Grab afternoon fuel at Pizza Barbone, Palio’s Pizzeria or the Grilled Cheese Gallery before touring the JFK Museum or grabbing a Cape Cod Duckmobile. Pop into Chelsea’s Swimwear or Sass on Main followed by indulgence at Smith Family Popcorn or Kandy Korner. Slurp oysters and cocktails at the Naked Oyster, margs and tacos at Anejo or a craft beer at Tap City Grille before wrapping up your evening at Embargo for martinis and dancing.